Contrary to much perceived wisdom, the Sahara is a rich and varied tapestry of diverse environments that sustain an array of ecosystems. Throughout its history, the Sahara has been a stage for human evolution, with human habitation, movement and lifeways shaped by a dynamic environment of successive phases of relative humidity and aridity driven by wider global climatic changes. The nature of human utilization of the landscape has undergone many changes, from the ephemeral and ill-defined lithic scatters of the Early Holocene to the dense and complex funerary landscapes of Late Holocene Pastoral period. Generally speaking, the living have left very little trace of their existence while funerary monuments endure, stamping the landscape with a cultural timelessness that marks certain regions of the desert as “special”. 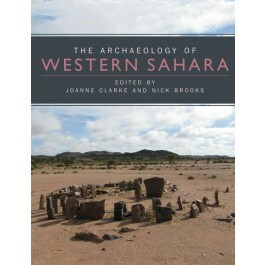 During the last ten years, the Western Sahara Project has undertaken large scale archaeological and environmental research that has begun to address the gaps in our knowledge of the archaeology and palaeoenvironments of Western Sahara, and to develop narratives of prehistoric cultural adaptation and change from the end of the Pleistocene to the Late Holocene and place it within its wider Saharan context. A detailed discussion of past environmental change and a presentation of results from the environmental component of the extensive survey work are provided. A typology of built stone features– monuments and funerary architecture is presented together with the results of the archaeological component of the extensive survey work, focusing on stone features, but also including discussion of ceramics and rock art and the analysis of lithic assemblages. Chapters focusing on intensive survey work in key study areas consider the landscape contexts of monuments and the results of excavation of burial cairns and artefact scatters.